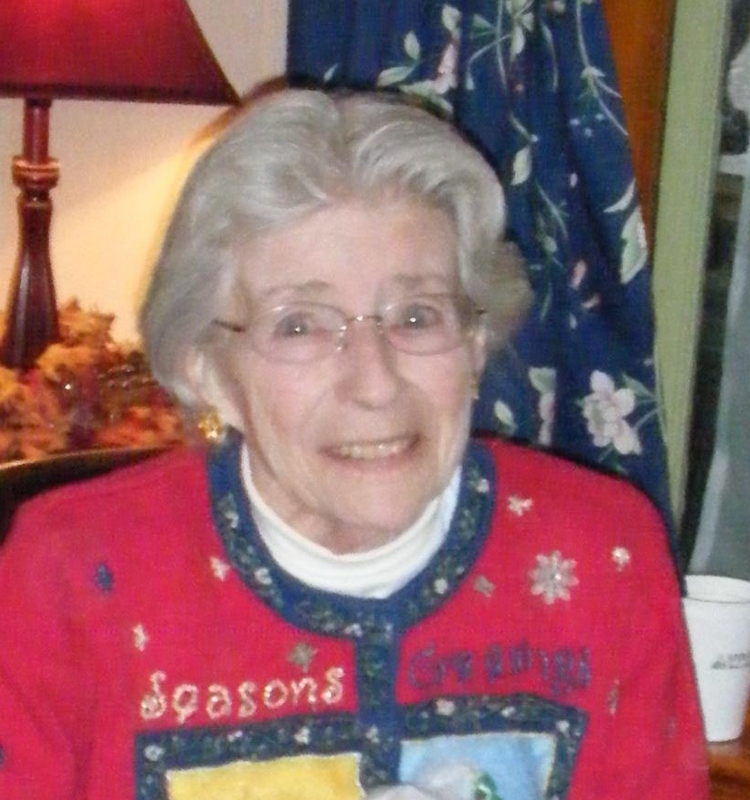 Barbara F. Jacobs, 88, 102 McPherson St, Warren passed peacefully from this earth surrounded by family at her home, on Saturday, Oct. 13, 2012. Barbara was born April 24, 1924 in Lowell, Mass, where she was raised. Her heart was always in New England. She graduated from Skidmore College with a BA degree in English and married Robert B. Jacobs on Sept 11, 1948. Bob and Barbara raised their four children in New Jersey and eastern Pennsylvania, where she was a homemaker and worked as a dental assistant. They retired to Sanford, Maine in 1978 where she worked part-time at the Sanford library, surrounded by her beloved books. She relished walks and riding the waves at her favorite beach in Kennebunkport. Barbara relocated to Warren after her husband’s passing August 5, 1993. Her love of reading continued for her entire life and she filled her hours in Warren volunteering at the library, at Home Street School, and playing bridge. Until just 2 years ago she also filed part-time in Dr. Endres’ office, where she became everyone’s “Gram.” In her ‘spare time’ she loved to swim and knit and bake for family and friends. She will be remembered by all who knew her for her selfless good nature; she greeted the world with a smile and had a kind word for all she encountered. Barbara is survived by her children: Jeffrey Jacobs and wife Marie, Fredericksburg, VA; Peter Jacobs and wife Linda, Medford, MA; Nancy Endres and husband Jay, Warren, PA; Wesley Jacobs and wife Beth, Warren, PA; her sister, Shirley Fenner and husband Jack, Rotonda West Florida; 8 grandchildren: Kristina Hughes and companion, Brian of Los Angeles, CA; Timothy Jacobs, Medford, MA; Forrest Jacobs and wife Barbara, Reading PA; Skyler Jacobs, Reading PA; Lena Kearney and husband Brison, Warren, PA; Emily Sorbara and husband Dino, Erie, PA; Carly Aloisio and husband Nick, Mars, PA; Robin Endres, Reading, PA. In addition to her husband, Barbara was preceded in death by her brother, Charles “Uncle Buster” Forrest and infant great-grandsons, Owen and Liam Aloisio. Friends are invited to celebrate Barbara’s life with her family at her home on Friday, October 19 from 5 – 7 PM. In lieu of flowers memorial contributions may be made to the Warren County Public Library. They probably have a book on hold for her. The Donald E. Lewis Funeral Home, Inc. is in charge of arrangements.